Everybody wants to make the most out of their phone battery. However, you may not be doing it the correct way. Since smartphones have become so common, there are a lot of myths revolving the battery life of phones. While there are some tips and tricks you can employ to enhance your battery life and performance, you may be believing some myths. 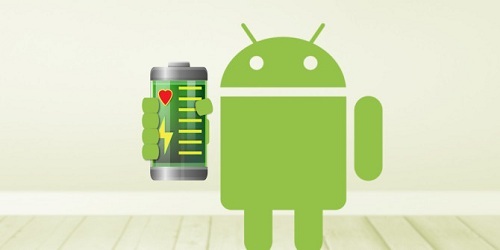 Let’s check out the common myths surrounding phone batteries, and find the truth about them. There has been quite a lot of debate regarding whether or not it is safe to leave the phone charging overnight. Some individuals feel that overcharging may overload the phone battery. Well, according to tech experts, smartphones do not allow the battery to overload. The phone comes with added protection chipsets to ensure that this does not happen. When the battery is completely charged, the charging stops. If you use a public charging port, then you are putting your data at risk. Information can be transferred over a USB connection. Therefore, when you plug your smartphone into unknown USB charging ports, cyber attacks may happen. These attacks are called juice jacking. While iPhones are more secure, Android users should be more aware of the risks. Since many Android smartphones have outdated operating systems, they are more vulnerable to attacks. Well, with the new batteries, you do not have to worry about charging your phone to 100% before you use it. While phone manufacturers recommend the users to charge it first, but this is only to make sure that the users have an excellent first experience. If your phone has some battery charge, then you can use it without putting it to charge. The reason why new phones do not come with much battery power is that the air traffic rules have a battery limit. Well, you can charge your phone’s battery as and when you want. You do not have to let it discharge completely before you plug it in. Most smartphone batteries work in charging cycles. Hence, it is a lot better to charge the smartphone daily than to charge it only when it is empty. Well, you should not freeze the batteries or store them in the refrigerator. The extreme temperature can cause more problems. One such damage can be caused by micro condensation which can damage and corrode the battery. It is better to keep the battery in a dry, cool place than to keep in the fridge or freezer. In the era of nickel-cadmium in the 70s and 80s, the blame for most battery faults was put on memory. This meant that nickel-cadmium batteries could remember the amount of energy drawn on earlier discharges, and would only deliver what was required in the last charge. Well, with the new-age Lithium-ion batteries, this is not the case. These batteries do not develop memories, but they work on capacity.